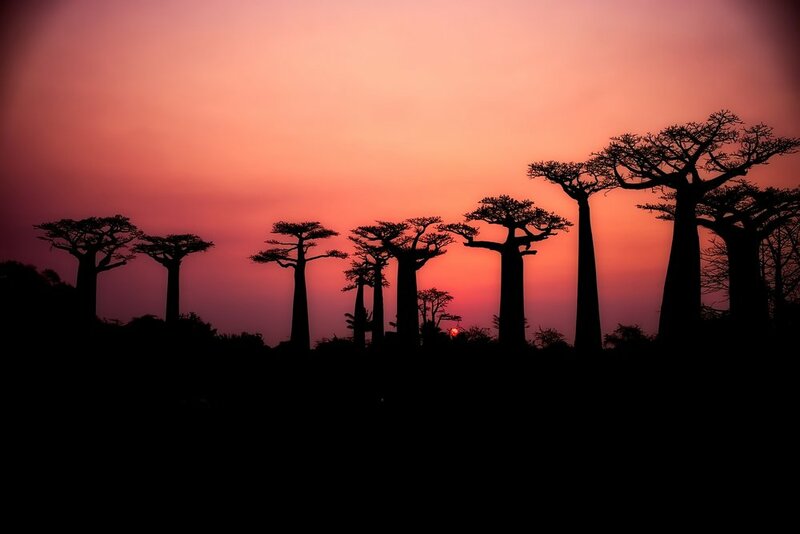 The fruit of Africa's distinctive Baobab is the only fruit in the world that dries naturally on the branch. It bakes in the sun for 6 months, where baobab’s green, prickly, velvet-like coating transforms into a smooth, brown, coconut-like shell. Inside it’s hard casing (a hammer is needed to crack the shell!) is the dry pulp of the fruit which contains no moisture whatsoever. Once sieved, a 100% natural and organic powder is formed. The baobab powder is exceptionally nutrient-rich, with an equally impressive range of benefits. In Africa, the baobab fruit has been used medicinally for centuries to treat everything from fevers, malaria and gastrointestinal problems to vitamin C deficiency. However, in the UK, it has remained largely unknown – until recently. As more scientific research on the remarkable nutritional value and health benefits of the baobab fruit emerges, people across the world are beginning to show interest in products made from this up-and-coming superfood. 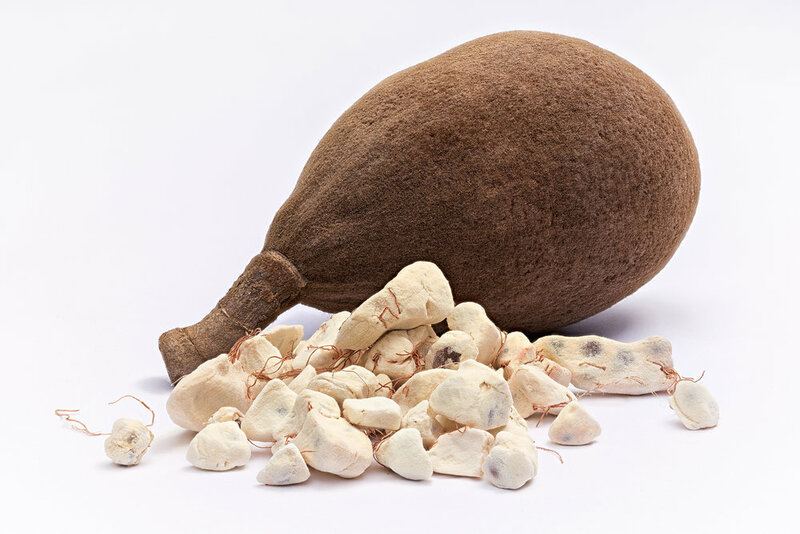 Most of the potential health benefits of baobab fruit powder and its fresh counterpart have been largely attributed to the unusually high levels of vitamin C this exotic superfood contains. A 100-gram serving of baobab fruit pulp has been reported to contain up to 500 milligrams of vitamin C – that's nearly 10 times the amount of vitamin C found in an equivalent serving of fresh oranges. In fact, the baobab fruit is considered one of the very best food sources of vitamin C in the world, with only a handful of foods – including kakadu plums, acerola, and rosehips – beating this super fruit in terms of vitamin C content. The potential health-protecting properties of the baobab fruit are mainly derived from these high levels of vitamin C. We've just started selling Baobab Powder, at our Colomberie Health Shop, from the Just Natural Organic range. Our 'chief juice inventor', Inga, has been experimenting with baobab powder over the last couple of weeks and has come up with a great tasting and extremely healthy baobab based juice, which we are sure you are going to love! We have named it the Vitamin Infusion. In addition to the Baobab Powder, it contains Grapefruit, Orange Juice, Lime and Carrot. Foods rich in vitamin C are a cornerstone of the anti-wrinkle diet. Vitamin C, whether derived from foods or dietary supplements, helps your body form collagen and elastin, two structural proteins that give your skin support and elasticity. In addition to being a natural source of vitamin C, the baobab fruit has been shown to possess strong antioxidant properties, which may further boost the benefits of this super fruit for the skin. Foods that supply your body with plenty of vitamin C may also help keep your heart and overall cardiovascular system healthy. A study from University of California found that study participants who took a vitamin C supplement (providing 500 milligrams of vitamin C) daily for two months experienced a 24 percent drop in their plasma C-reactive protein levels. New research suggests that C-reactive protein levels, or CRP levels for short, are an excellent measure of a person's heart disease risk, potentially even better than cholesterol levels. If your liver is not healthy, it will not efficiently do one of its most important jobs – detoxifying toxic substances, including metabolic wastes, and excreting them from your body. A high exposure to toxins such as cigarette smoke, chemicals, alcohol and many other substances can cause damage to the liver and limit its detoxifying capabilities, but luckily there are also many foods and supplements that can get your liver back on track. You can purchase Baobab Powder from our Colomberie Shop or ask for it as a supplement in any of our juices at both Juice Bars.